THE combined exhaust and air intake cowl on the outside of the caravan must not be obstructed in any way. During winter use ensure the cowl is not blocked by driven snow. AFTER switching off or the heater going to safety shut down, wait 3 minutes before relighting. WATER heaters (as with all other gas appliances) should be switched off and the gas cylinders turned off when the caravan is in motion. FROST and sterilising see separate note. ANNUAL SERVICE - In common with all gas appliances an annual service by a Carver Main Dealer is recommended. IF YOU have any problems with this water heater seek the advice of your nearest carver main dealer. THIS water heater does not contain asbestos related products. The Cascade 2 arid Cascade 2 GE are storage water heaters with a 9 litre (2 gallon) or 6 litre (1-1/3 gallon) capacity. The heater is installed through the wall of the caravan with only the flue cowl visible on the outside. All the working parts of the gas system are in a single module which can be easily removed by a competent gas fitter from outside the caravan. The gas heating is operated by a wall mounted controller inside the caravan. This controller contains the positive and negative 12v line fuses, indicator lights and the ON/OFF switch. It is independent from the mains electrical heating on the Cascade 2 GE. In addition the Cascade 2 GE contains an independent immersion heater which is controlled by a separate double pole switched mains outlet. The immersion heater can be used on a240 or2POv 50Hz supply and is rated at 605 and 660 Watts respectively. For a faster warm up both systems may be used simultaneously but it is recommended that only one be used for the maintenance of hot water supply. 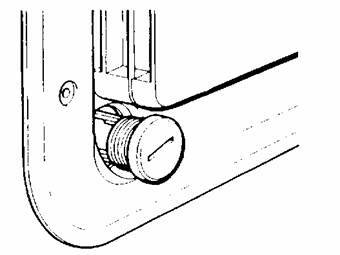 The thermostats for both modes of operation are independent, non adjustable and set to approx. 70 0 C.
A pressure relief valve which opens if the internal pressure exceeds 3 bar (44 psi) arid vents water into the cowl. A fusible plug located behind the cowl above the burner. If, due to a fault, the internal temperature exceeds 96 0 C this plug melts and sprays water onto the burner causing the heater to go to safety shut down. On the Cascade 2 GE only there is also an over-temperature cut out which is manually resettable. Ensure that the gas is turned on and that the system is full of water i.e. air free water flows from the hot taps. Check that the 12 volt supply is connected and switched on. DO NOT use a battery charger as the only source of supply. 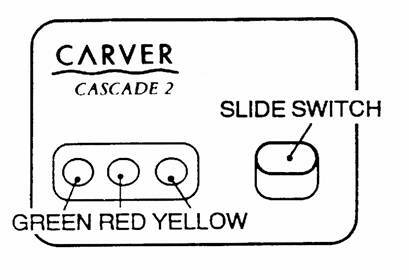 Move the slide switch on the controller downwards. A continuous green light indicates that the heater is working satisfactorily. Move the slide switch upwards. GREEN. The heater is working satisfactorily. GREEN AND YELLOW. The DC voltage is below the 10.5 volts that are required to operate the heater. Recharge the battery. GREEN and RED. The heater has failed to ignite or has gone to safety shut down. This is usually due to failure of the gas supply or air in the gas system after fitting a new cylinder. Switch the heater off and WAIT 3 MINUTES before attempting to relight the heater. If air in the gas system is the problem several attempts may be necessary before the heater ignites. Ensure that the system is full of water, i.e. air free water flows from the hot taps. Operate the isolation switch. If it is of the illuminated type the light will show that the heater is working. The thermostat cannot be adjusted and is pre-set to approx. 70° C.
If the mains electrical supply to the heater is switched on but the heater is not working the over temperature cut out may have operated. Switching the heater on without water in the tank. See 1a. Failure of the normal operating thermostat. Manually reset the over temperature cut-out by pressing in the button in the centre of the electrical connection box. If the operating thermostat has failed the over temperature thermostat will trip out again. If this occurs DO NOT USE THE IMMERSION HEATER AND CONSULT YOUR CARVER DEALER. During periods when the heater is likely to freeze it MUST be drained down to prevent damage. It is also recommended that the water system is drained during winter storage. Park the caravan on level ground. Ensure that the gas and electricity are turned off. Unscrew the drain plug which is located at the bottom left of the flue cowl on the outside of the caravan. When the end of the thread is reached pull the plug out slightly. The plug will still be retained but will allow the heater to drain. Open both the hot and cold taps. To completely drain the water heater can take a considerable time. At least 9 litres (2 gallons) of water should drain from the heater. Use a bucket to collect the water to ensure the heater has drained completely. Close the taps when the heater has stopped flowing. It is recommended to leave drain plug out while the system is empty and replace before refilling. When cleaning the water system at the start and end of the season it is advisable to use a sterilizing fluid, e.g. Milton 2, Chempro SDP or similar. DO NOT USE DOMESTIC BLEACH, CAMDEN TABLETS OR SODIUM METABISULPHIDE. If a Crystal Water System is fitted, remove the filter and refit only the end cap of the filter as the carbon filter reduces the effectiveness of the sterilising agent. Always fit a new water filter at the start of the season. CARVER & CO. (ENGINEERS) LTD. The advice and tips on Thomson T-Line History & Information are free to copy for personal use, if you are a webmaster or company who wishes to use these sheets for your business or website please ask permission from the webmaster. Thomson T-Line History & Information shall not be liable for any damage or difficulty, direct or indirect, arising from utilisation of the information contained within these pages. Disclaimer - The information provided on this Website site is offered with no warranty as to the authenticity, suitability or competence of the individual, company or service quoted here in. The Website shall not be liable for any damage or difficulty, direct or indirect, arising from utilization of the information contained within these pages. Thomson T-Line History & Information is not responsible for the content of external website's.